Like a lot of you, over the past years, I have heard and read a great deal about Chromebooks. Being an instructional technologist at a K-12 school district with some experience with iPod Touches and iPads, I was curious to see what the Chromebook could do. Especially, since I have seen what happens when administrators and teachers want apps that older devices cannot download. This left me searching for a device that teachers could not only use to expand and deliver engaging learning experiences for their students, but a device that could both grow with the expectations of the teachers and administrators, as well as with the learning needs of the students. And I was hoping that the Chromebook could be such a device. The learning curve is zero. You power up a Chromebook, put in your gmail account and password, and you are off and running. What's so awesome about this is is there is no training needed to learn how to operate the Chromebook - which is a big win for an instructional technologist. The zero learning curve allows us (instructional technologists) the opportunity to focus our work on teaching teachers how to use the Chromebook for instructional purposes. It's portability is king. Yeah, I know an iPad is portable, but I couldn't do the work that I do on a regular basis on an ipad. For example, I am a district administrator for Compass Learning in the district. Part of that includes adding teachers and students to Compass. With my Chromebook, I have been able to be away from the office and add logins in a jiffy. In fact, I once received an email from a teacher, and I was able to add her and create several logins for another teacher from the comfort of a parking lot. Now try doing that with an iPad. The Chrome apps make up for not having a device with a traditional hard drive that has an operating system pre-loaded with video and audio creation applications. This is important because Common Core requires students to create products using digital tools. To create such products on a Chromebook, students can use WeVideo for video editing and ScreenCastle for screencasting. Those apps are free in the Chrome store. GAFE is golden. What do I need to say about gmail, Google Drive, Google+, Google Calender, Google Docs, etc.? Once again I know that those apps can be accessed via any device. However, since each individual's email account is associated with those apps, this makes using the Chromebook that much more awesome, because students can share Chromebooks. Each class can have its own set. This is perfect for schools and school districts with limited funds. The price is grrrrrrreat! Just like Tony the Tiger, I am giddy about the price of the Chromebook. At the higher end, excluding the Pixel, the Lenovo Chromebook is $399, the HP Chromebook 14, and the Acer C720P Touchscreen are both $299. The lower end features the Acer C720 at $199, and the Samsung Chromebook at $249. The low cost of purchasing, managing (additional $30), and maintaining a Chromebook is a major plus for schools, particularly if your district is thinking about going 1:1. OK. I must admit that I have yet to see the Chromebook in action inside a classroom outside of students on Compass. That said, I am a believer in what the Chromebook offers, and what is possible under the guidance of a good teacher. I see the Chromebook as a game-changer, and device that could make blended learning a reality for a K-12 school district. Tell me what you think. What are your thoughts about the Chromebook? 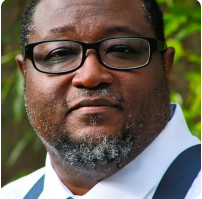 About the author: Dr. Will Deyamport, III is an innovative thought leader in connected education, leading the design and implementation of collaborative initiatives in support of teaching, learning, and professional development. His research is in how educators can use technology-supported Personal Learning Networks to individualize their professional development, as well as the challenges affecting the adoption of new learning environments and technologies. 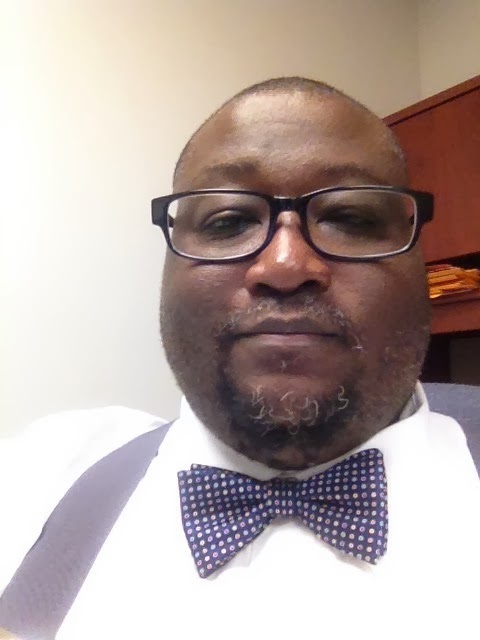 Dr. Will is a frequent presenter at conferences, guest lecturer, and regularly blogs and produces online content focused on the educational uses of web tools and social technologies. He is an alumnus of Capella University, where he earned his Doctor of Education (Ed.D.) in Educational Leadership and Management. Dr. Deyamport's dream job is to become the Executive Director of TED. Glad your daughter is enjoying her Chromebook. I am buying the touchscreen one for my personal use. How are the teachers in your district using the Chromebook? As a principal in a district that is transitioning to 1 to 1 for next year, I'm very interested in the potential of the chromebook, weighing it against everything you touched on in your post. I personally have used a chromebook for a number of months now and found it to be a superb tool for just about every task I encounter. I have had a couple teachers who utilize some stand alone software that will not work with the Chrome OS. One in particular uses some pre-engineering software. I'm concerned about this limitation, but it's hard to argue against so many other positives. There will never be that one perfect device, but this one is definitely a great option for schools. Look for a web-based pre-engineering program. Don't know if they exist, but if one does, it may be the answer to not having a traditional is. Great read and agreed. There is minimal learning curve except for a few keyboard nuances and the whole "browser only" experience. I was a part of a team that deployed 5000 Chromebooks to grades 7-12. We have seen them used for a variety of teaching and learning experiences including collaborative docs and presentations, research and digital literacy tools, publication, digital portfolios via sites, peer editing and class discussions. The potential for transforming instruction is really endless. Please tell me more. I am very interested in hearing about your experiences. Great Article! We now know why Microsoft is all of a sudden making all those commercials against Chromebooks. They are scared! Thanks. Microsoft is scared and they should be. I enjoyed your article and am glad to hear your thoughts on Chromebooks. We have deployed them as our 1:1 device for our 5th-8th grade students. We still use other tools, like iPads, but the device they carry around is the Chromebook. I was excited to hear about a screencasting option for Chromebooks as it is something I sorely miss. As you mention, the learning curve is zero for beginning users, but from time to time my coaches or I want to create a quick screencast to demonstrate something to teachers, parents, or students. I immediately looked at the app you mentioned, ScreenCastle, but alas, it does not work on a Chromebook, requires a Java plug-in. If you have gotten it to work, please share your process. The only negatives I have found with our deployment as the fragile screens on the Samsung model and the lack of an adequate way to mirror using an LCD projector with the Samsungs. We piloted the Acer Chromebook as well and they mirrored easily, like a PC, with our projectors. Hi Dr. Will! My name is Sarah and I am a student taking a technology course at my University. My technology class is called EDM 310. We have a class blog, http://www.edm310.blogspot.com/, as well as individual blogs. My individual blog is http://pottssarahedm310.blogspot.com/. Feel free to follow my individual blog, or our class blog and comment as you please! As a future teacher, it sounds like the Chomebook would be a great laptop because of the amount of technology that is used in schools these days. I like that it is easy to use and portable. The fact that it has a good price is beneficial as well! All of these factors make the Chromebook a laptop that school systems should consider for their students.